David Dik, national executive director of Young Audiences, discusses the role of technology in the arts education field and how technological advancements have created more openings for expression and study. David Dik is the first Arts Education Partnership (AEP) guest blogger for Education Commission of the States' Ed Note blog. Mr. Dik writes how technology is becoming more evident in all forms of art education (theatre, dance, music and visual arts) and how "A combination of artistic expression and the abundance of technological tools available is not only creating fertile ground but resulting in creativity, innovation and entrepreneurism." David Dik also writes how the national conference, Digital Transformation will be focusing on the relation between the arts, education and technology. To learn more about the conference and to register please visit the conference website here! The Arts Education Partnership (AEP), a national network of organizations, is a center within Education Commission of the States dedicated to advancing the arts in education through research, policy and practice. As an AEP Partner Organization, Young Audiences Arts for Learning carries the commitment to inspire young people and expand their learning through the arts. Established in 1952, Young Audiences Arts for Learning serves more than 5 million children and youth each year in 8,984 schools and community centers across the country through its diverse network of 30 local affiliates. 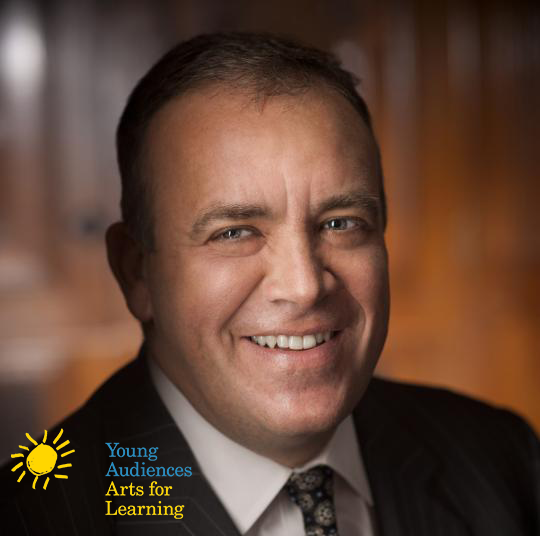 This month, Young Audiences Arts for Learning will host its annual National Arts in Education Conference in Cleveland, titled Digital Transformation. It’s a captivating title, as conferences are usually titled, but also intriguing since transformation means moving from one state of existence to another. In many ways, art has changed dramatically over the past 400 years, and in many other ways, it hasn’t. For example, there are 12 half steps in an octave, and though the octave repeats itself with higher and lower pitches, for more than 400 years we’ve used the same musical alphabet whether we listen to Bach, Beethoven, the Beatles or Beyoncé. We may bend the pitch or look to other cultures to influence a different tonality, but the alphabet still harkens back to 12 tones to the octave. The same basic languages for communication and expression are evident in movement, theatre and the visual arts. The basic vocabulary doesn’t change; however, the tools we use to express these art forms have changed radically over the past generation. A combination of artistic expression and the abundance of technological tools available is not only creating fertile ground but resulting in creativity, innovation and entrepreneurism. The digital transformation that has occurred over the last generation and will continue to occur incorporates technology as tools to create art, but has also emerged as a new art form itself. This transformation is reflected in the new National Core Media Arts Standards, which unlock both the realization that technology in itself is not about the tools to create and document art, but its own aesthetic and arts domain. When the National Standards for Arts Education were first introduced in 1994, the barrier that existed at the time was access to content. Compact discs, text books, works of art, video – all required significant investments in both materials and in equipment. With the development of the new National Core Arts Standards 20 years later, access to content is no longer the paramount concern; curation of content is now the absolute essential given the vast amount of resources that can be accessed digitally. Many of us do not likely consider ourselves media artists, but a part of the new media arts standards reflect an amalgam of processes that we are most likely already familiar with. The essential languages of the arts – tone, color, texture, movement, tempo – as represented in dance, music, theatre and the visual arts – are also represented in media arts. When we take a picture or film a video we look to artistic standards to assess our performance and presentation. Once we post that picture or video, we become presenters. The technology is a tool, but our evaluation of the outcome is artistic. For many, we already use media to communicate ideas; the incorporation of the media arts can also move the viewer (or listener) to artistic response and empathy. And, what better way than using media arts and all the arts to impart both non-cognitive skill development and connect to social emotional learning, but that is for another blog on another day. For more information about Young Audiences Arts for Learning’s annual conference in Cleveland from April 20-22 and to register, please visit our website.